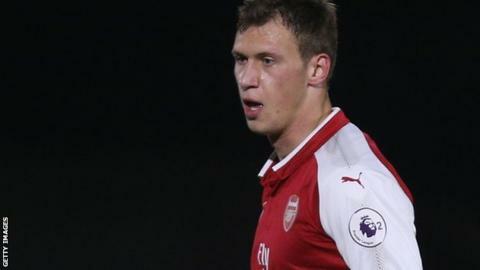 Walsall have signed Arsenal's Krystian Bielik, West Brom's Jack Fitzwater and Stoke's Julien Ngoy on loan until the end of the season. Polish defender Bielik, 20, spent time on loan with Birmingham in 2016-17, playing 10 Championship matches. Centre-back Fitzwater, also 20, played 19 times for Forest Green during a loan spell at the start of the season. Belgian Ngoy, a 20-year-old forward, has made six Premier League appearances for Stoke since joining in 2014. All three players could make their debuts for the Saddlers in Saturday's home game against strugglers MK Dons.